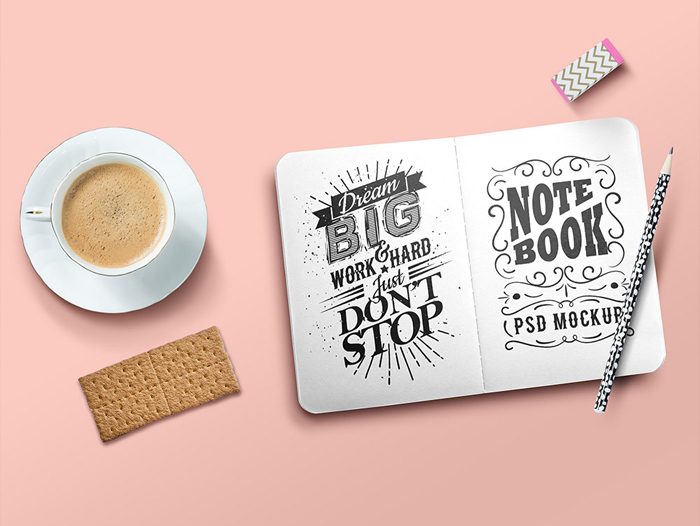 This collection includes +15 Sketchbook mockups to display your sketches in a creative way. The list contains both free and premium sketch and drawing mockups that come fully layered so you can customize pretty much everything. Create personalized sketch templates using these time saving Photoshop mockups. You will find different kinds of sketchbooks so plenty ideas to choose from. 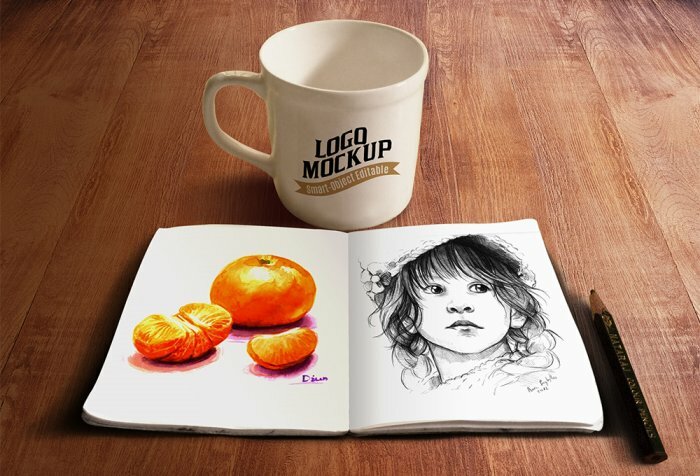 3 comment(s) for "Sketchbook PSD Mockups to Display Your Sketches"
All the elements such as the coffee cup, sketch book and pencil are isolated so you can easily change the backgrounds. We have already included 3 backgrounds for you: one is wood, second is cement texture and third one is just simple and modern blue background.